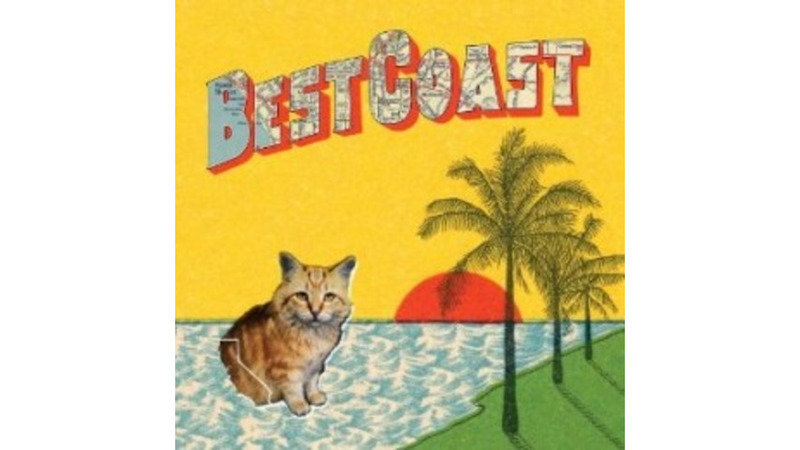 Listen to Best Coast’s Crazy for You. Best Coast’s Bethany Cosentino digs the simple pleasures: California summers, her cat, Snacks, and love. She really digs love. That penchant for simplicity bounces all over Best Coast’s debut, Crazy For You. After a string of sunny but sludgy EPs, Crazy features 13 tracks in 30 minutes. It’s the tightest, brightest music Cosentino and sole bandmate Bobb Bruno have pumped out yet. These tunes approach love and longing like a teenage diary entry (“I wish he was my boyfriend / I’d love him to the very end” pines Cosentino in “Boyfriend”), matching ‘60’s girl group melodies with fuzzed-out guitars. There’s little variety here, but like The Supremes, the straight-ahead formula works: Sing about love, and make each chorus stick. And they do. From the slow dance R&B of “Our Deal” to the Go-Go’s-esque romp “Each and Every Day,” Crazy is the soundtrack of being young, in love and in the sun.